Hi, I’m Kerry, I live in Worcestershire in the UK. I’ve been married for almost 14 years, we have 2 children who have just both had birthdays – April is a really busy month for us as they are just a day apart. DS is now 12 and DD is 7. We have a rather large hamster called Luna and I work as an administrator for a small company and I’m currently doing a diploma in Business Administration. 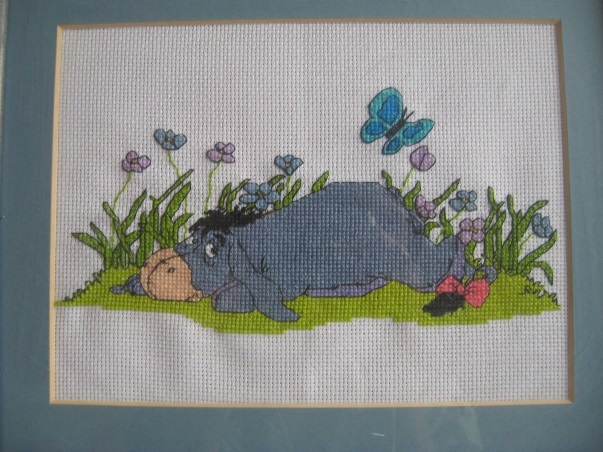 I’ve been cross stitching for about 13 years and started when I was I was pregnant with DS. My first cross stitch was of Eeyore. I saw the kit and thought, bet I could do that – turns out after a bit of trial and error I could. I’ve always crafted and I remember doing 2 long stitch kits when I was 8 or 9 one of a cottage and the first was a fawn in a green frame and my Mum got it from Avon! I did the standard sampler at school when I was about 7 on binca too. 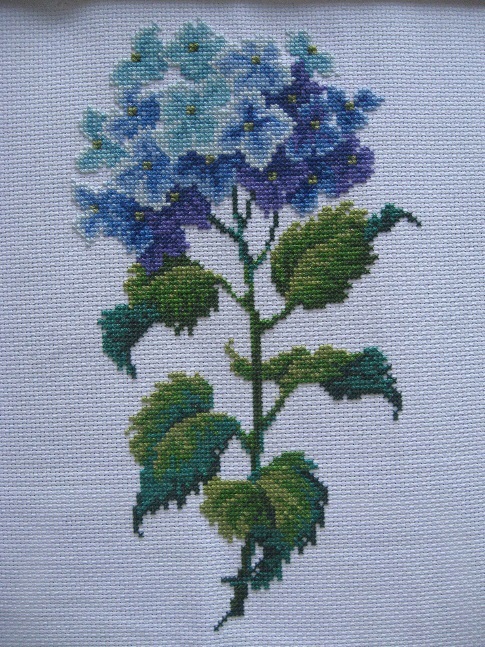 My Nan taught me to embroider as a teenager too. 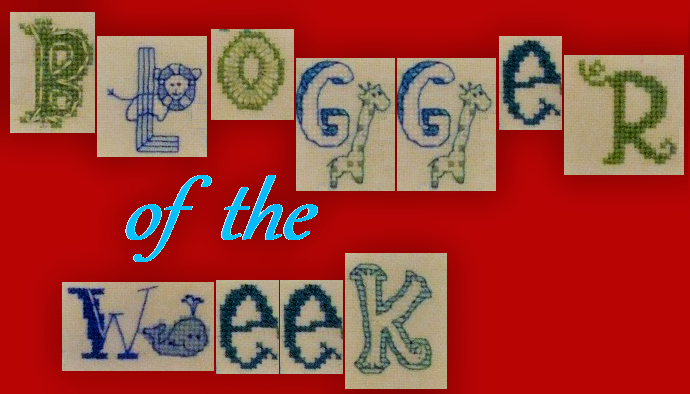 My first blog post was on 10th August 2011 and I had a couple of friends I’d met through craftbubble who blogged and I jumped on the bandwagon! I was making a lot of biscornu around that time and I’d built up quite a collection by then too. As you can see from this, I can ramble too! I’m a bit of an OAAT-er at heart and I like to work on the same design for a few days, until I get bored. I do tend to underestimate how long it will take me to do a project though. I’m not a serial starter and I find having 10 WIP’s stressful. I think I prefer smaller designs as I need finishes to keep me motivated I have 2 big designs in the to-start pile but they both are made up of small sections, so I can claim lots of mini finishes I’m quite organised. 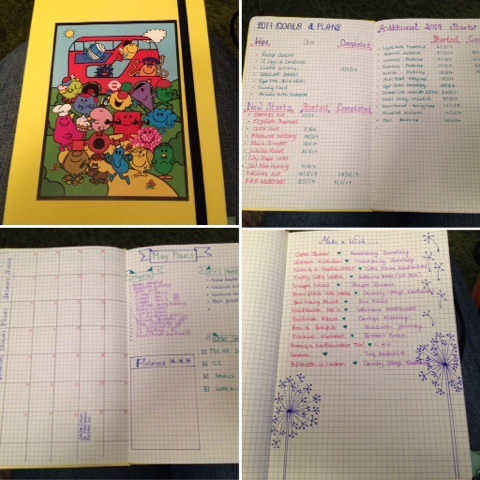 I’ve recently made a stitching Bullet Journal as I have lists everywhere I’m hoping this will help me keep track of all my stitching notes in one place rather than my current method of calendar, notebook and several lists. 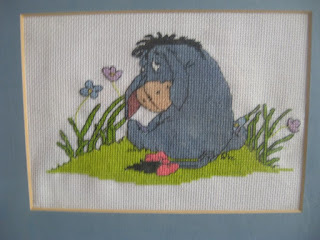 I’m currently quite drawn to primitive and Quaker designs and I have several on my wish list from Heartstring Samplery as well as Elizabeth Shephard from The Scarlett Letter to start. I also like bold designs from designers like Lizzie Kate, Wee Little Stitches and Satsuma Street along bright florals designs. I adore blackwork too. I have lots of pieces for I’m proud of for different reasons. 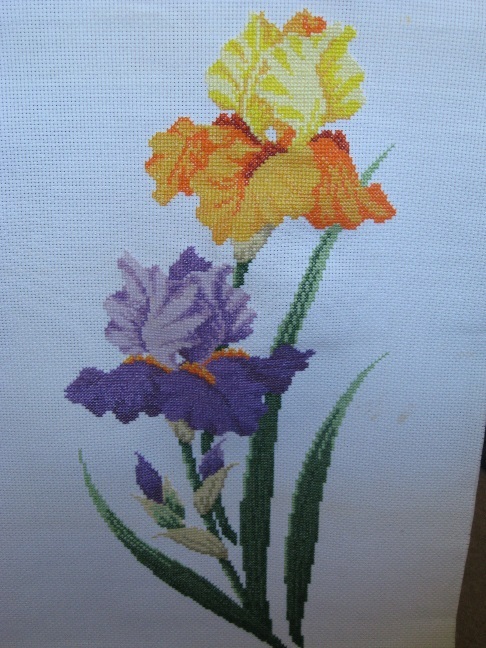 I love Irises and Hydranga by Sheila Hudson, that I’ve never gotten around to framing despite finishing them probably years ago! 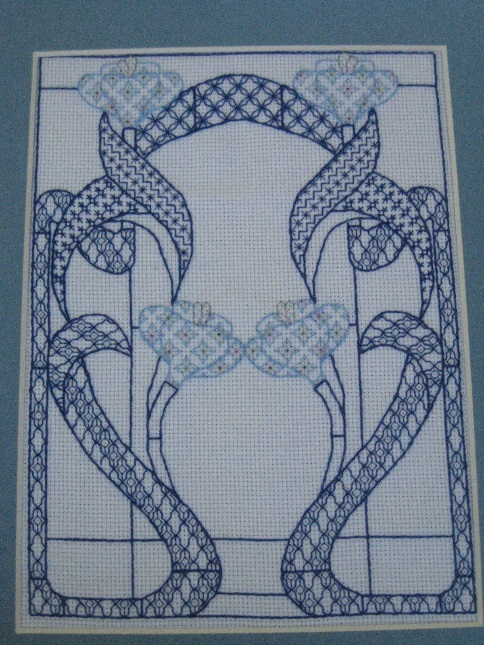 I love my blackwork pieces too – this one is Art Nouveau window by Holbein Embroidery. The hole that mysteriously appeared in Blackwork birdsong last week? Other than that- my failed attempt at a HAED as I decided to do it 2 over 1 full crosses on 25 ct. That was too much like hard work and after about 1500 stitches I gave up. I’d do another HAED – still on 25ct but 1 over 1 tent stitch this time. Hardanger but the cutting of the threads terrifies me! I’m going to give flat fold finishes a go too. As for other crafts, I would love to spend more time on my hexagon quilt. It’s been over a year since I last put any hexi’s in and crochet – I definitely have an awful lot to learn with that. A small box of around 8 pieces, I’ve been trying to get them done this year. I usually frame bigger pieces and small cushions or bell pulls out of the smaller ones. I asked my family this one as I really had no idea and they said… the Blackwork sampler. I think they are probably right, lots of detail – I love the small details, speciality stitches –I love learning new stuff, my love of stitched florals, and it’s a quiet piece. Hubby says it’s not fussy either – I’m not sure how to take that! I’m not sure there are many secrets to share but DD had to take a joke to school recently for Comic Relief – we spent a while chatting over dinner about our favourite jokes so here goes. A: To hide upside down in a cherry tree. I had an elephant joke book as a kid and loved it. You could tell – it got so tatty. Floss tube is my new adiction as well as following so many awesome blogs. Stitchers are such an inspriring (and enabling) bunch (a big thank you to Jo for putting this together). Thank you to all who follow my blog and leave me me such lovely comments. It really means a lot to me. What a fantastic collection of biscornu! But, I simply love your Art Nouveau piece, I'm very much attracted to the flowing forms and nature inspired pieces. 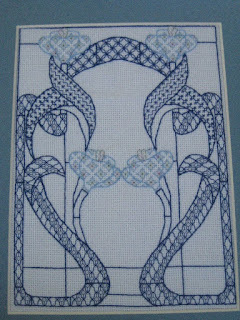 Oh Kerry, Art Nouveau AND Blackwork Sampler are FABULOUS! Wow! Your hexagon quilt is so wonderful. Love it! I love finding out more about the people whose blogs I follow. Beautiful work. Thanks Suzanne, it's been fun to take part. Very pleased to meet you Kerry! Beautiful stitching and I love your biscornu collection! I hope to try one soon. I am in total agreement with you regarding stitching over 2! I tried it, took to much concentration, gave to much aggravation so I gave it up vowing to never try that again! Nice to meet you Kerry! I enjoyed reading about you and your stitching is so lovely. Like you, I also enjoy multiple needlework crafts. Ahhh, now I know where your blog name comes from, lol. This basket full of biscornus looks gorgeous. Wonderful stitched pieces that you show here. 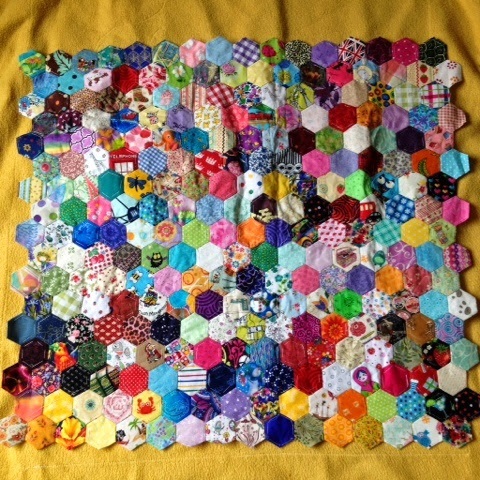 And the hexagon quilt is exactly what I want to do one day, I just have to learn how to makle hexies first. It was nice to read about you. Great to see some of your old projects Kerry. And your blackwork pieces are very lovely! Nice to read about you Kerry. 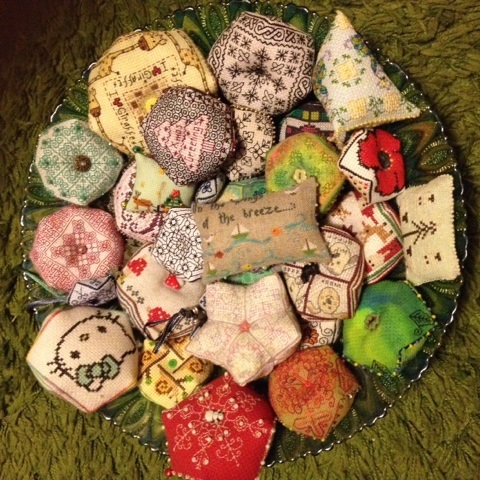 Hexi's are something I have never tried... perhaps I should. Thank you for sharing all about you Kerry. Have I asked you before if you do flosstube. If you have a channel I would love to watch. I am going to try my hand at Blackwork this year. I hope I will enjoy it too. Hi Kerry, nice to meet you! Your work looks amazing, I love the blackwork one. Your biscornus, blackwork and everything else are wonderful! I think we all tend to underestimate how long it will take to do a project. Loved getting to know you. So lovely to learn more about you! Perfect blog title, I love all your biscornus. I haven't tried blackwork yet, yours look wonderful!